Netwrix Auditor bridges the visibility gap by delivering security intelligence about critical changes, data access and configurations in hybrid IT environments. The platform identifies users with the most anomalous activity, alerts on behavior patterns that indicate a possible threat, and makes it easy to investigate any suspicious action or security policy violation so you can quickly determine the best response. 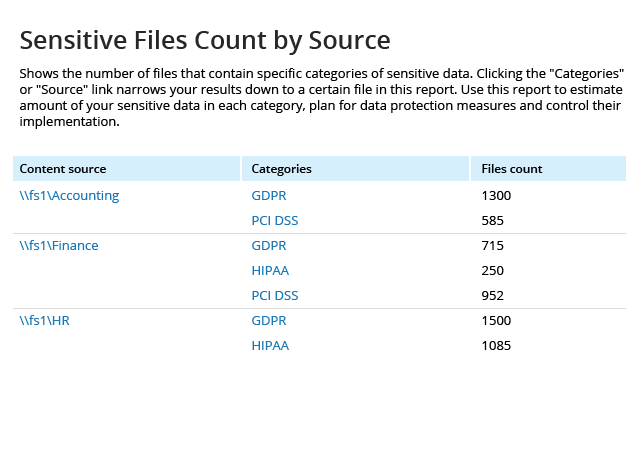 Identify file shares and specific folders that contain sensitive files so you can prioritise the security of these assets. Ensure that only authorised personnel can view, edit, share or delete these files; carefully monitor activity that might jeopardise the security of this information; and detect any sensitive data surfaces outside of a secure location. Identify high-risk configurations, such as excessive access permissions for the “Everyone” group or an abundance of directly assigned permissions, that need your immediate attention. Adjust your policy settings or permissions as necessary to minimize the ability of intruders and insiders to cause damage. Get a complete picture of effective user permissions in Active Directory and file servers. Lock down overexposed data and make sure that only eligible employees have access to critical resources. Stay aware of any modifications that affect user privileges so you can respond immediately. Get a high-level view of what’s going on in your hybrid IT infrastructure with enterprise overview dashboards. Spot surges in anomalous activity, see which user are most active and which systems are most affected. Quickly identify subtle signs of possible threats, such as unusual logons that might indicate user identity theft or a disgruntled privileged user trying to hide his or her activity behind temporary accounts. With the user behavior and blind spot analysis reports, no malicious activity can slip under your radar. Be alerted about unauthorised activity as it happens so you can prevent security breaches. For example, you can choose to be notified whenever someone is added to the Enterprise Admins group or a user has modified many files in a short period of time, which could indicate a ransomware attack. Centralise security monitoring and reporting by feeding Netwrix Auditor data from other on-premises or cloud applications. You can also use the actionable security intelligence from Netwrix Auditor to augment the output data of your SIEM solution. The two-tiered (file-based + SQL database) AuditArchive™ storage enables you to keep your audit data archived for historic e-discovery or security investigations for more than 10 years. Netwrix Auditor for SharePoint delivers security intelligence about what’s going on in your SharePoint environment. See who has access to what and track changes to farm configuration, groups, permissions and user content, as well as document reads, to mitigate the risk of data leaks. 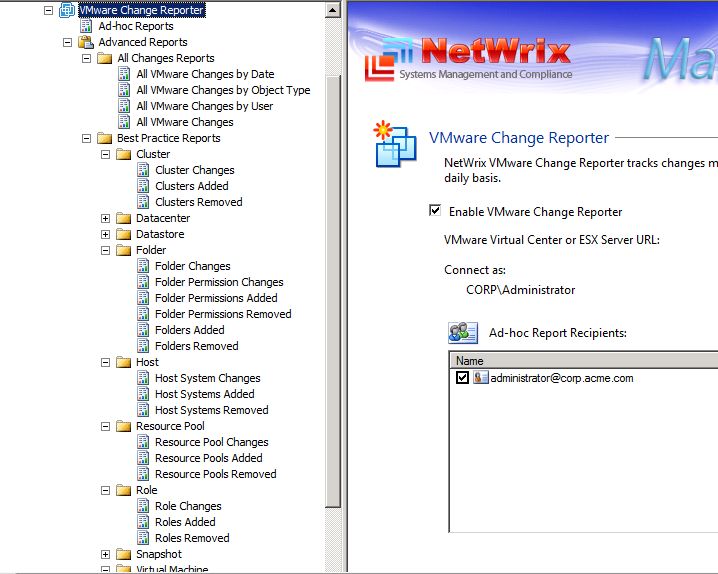 Netwrix Auditor for Network Devices delivers complete visibility into Cisco and Fortinet device configuration changes, and both successful and failed attempts to log on to switches, routers and firewalls. Streamline incident response in ServiceNow. Integrate Netwrix Auditor with ServiceNow® IT Service Management through the RESTful API with this free add-on. Detect and investigate threats more efficiently with actionable audit intelligence for LogRhythm. Get complete visibility into logon activity on your RADIUS Server. Simply integrate RADIUS Server with Netwrix Auditor via the RESTful API with this free add-on.